Once users have completed our account verification process, they can use Plastiq to send money faster using ACH (US electronic bank transfer) and US domestic wire transfer payments. The process should take no more than 5 minutes. Navigate to the “Account Settings” page by clicking the account icon in the upper right portion, once signed into your Plastiq account. To begin, we will need to verify your phone number. To do this, you will need to enter a 4-digit code. You may receive the code via phone call or text message (standard messaging rates may apply). Prior to the code being sent via text or phone call, please review and confirm your information, including your legal name and phone number. Your first and last name provided should be the same as those in legal documents, including identification. If any of the information is incorrect, please update it in this section. When all information is accurate, click the blue button to confirm your phone number. Next, enter the 4-digit code that is sent through text or call. Within a few minutes, you will see a green check confirming that your account has been verified. In some cases, we cannot validate the information provided and will need more information. If requested, please provide the last 4 digits of your Social Security number. For security purposes, this information is stored with 256-bit encryption and is not used for credit reports of any kind. In some cases, your account may require manual review. For more information regarding this, please read “What is the manual review process?” below. What is the manual review process? Government-issued identification - Passport, Driver’s License, Permanent Resident Card, State- or Federal-Issued ID. A photo of you with your ID - Take a photo of you holding the government-issued ID. This must include your entire face. Enter your email, phone number, and legal first and last name. In order to verify your account manually, you need to have a payment card on file. If you have not done so, the card drawer will open and you will have a chance to save your card information without leaving this screen. Then upload the documents listed above. Please note, once the documents are uploaded, they cannot be changed or edited. After you submit your information, they will need to be reviewed. Our team will respond via email within 2 business days. What happens after my account is verified? Congratulations! We have confirmed your account and you now have access to send payments via any method you prefer: ACH (US electronic bank transfer), US domestic wire, or check. Please read the associated articles for the process and note you will need the electronic transfer information for a recipient you will pay. Why do I need to confirm my account in order to have access to ACH and wire payments? Plastiq is required to collect this information, by law, in order to process payments by ACH or wire. What does Plastiq do with the information provided? 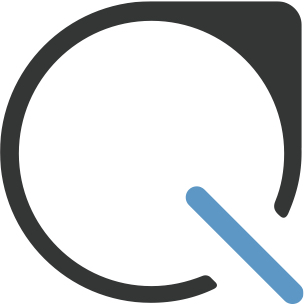 Plastiq stores this information and is used for account verification purposes.